Following the 2016 renovation of the Senior School library, refurbishing the Prep School became a priority for the school. Cwm Glas is a lively, busy and exciting primary school in Swansea which seeks to encourage pupils to achieve personal excellence and their full potential. Halton Lodge Primary School craved a fresh and exciting design for the thoroughfare of their school. 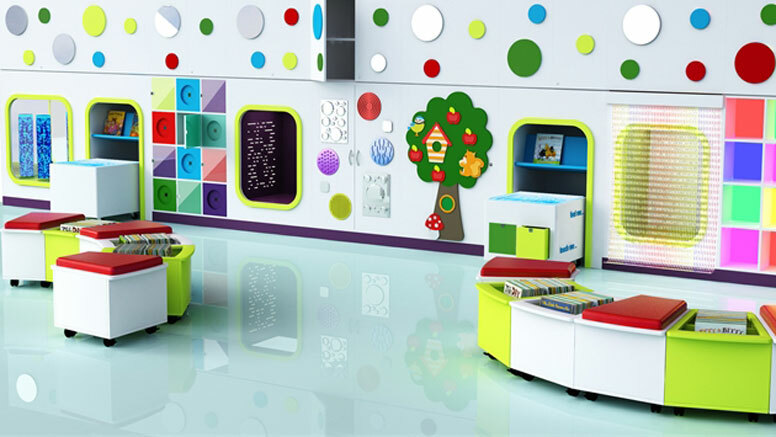 The school’s aim was to bring their library to life with the use of bright, contemporary colours and introduce a woodland theme to the space. Intake Primary strives to create a positive, stimulating environment, where there is a real sense of belonging. The school is located near the famous landmark Hadrian's Wall, which was chosen as the theme for this primary school library.